All of our guides remain in constant radio contact which gives them up to the minute information and increased coverage of the lake. When you fish with Shane Watson Guide Service you get the strength, coverage, and experience of the entire fleet. 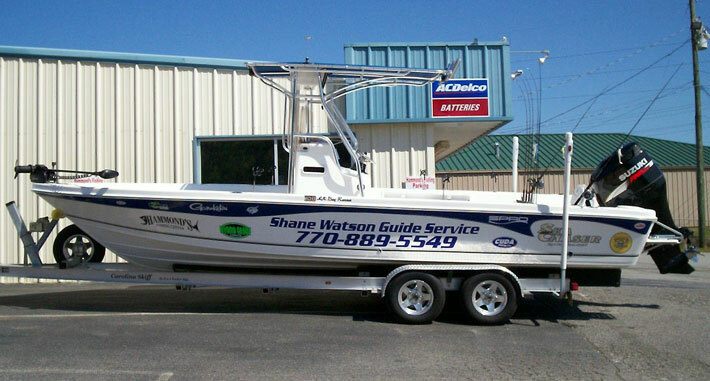 Shane Watson Guide Service proudly uses and endorses Carolina Skiff - Sea Chaser boats. Not just because we are sponsored by them, but because they are the hardest working boats on the market. We make our living fishing 7 days a week and we rely on the quality and durability of Carolina Skiff - Sea Chaser boats. 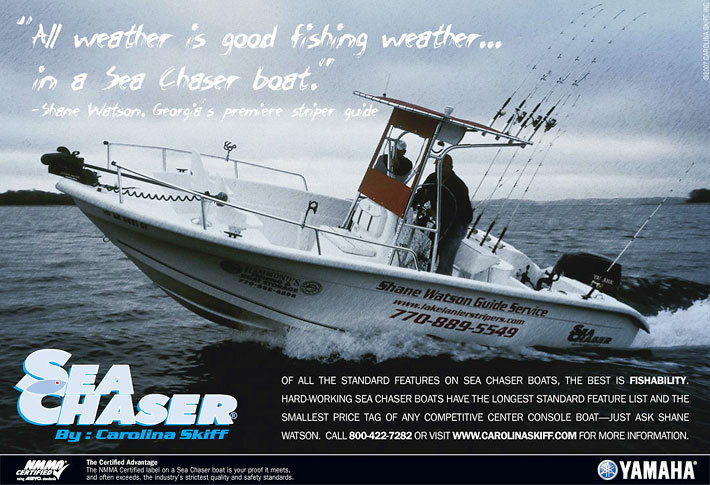 For our local Carolina Skiff - Sea Chaser Dealer, we invite you to visit the Grass Shack in Buford, GA. They are GA's # 1 Carolina Skiff Dealer and their service department is first rate. The Grass Shack's phone number is 770-271-PLAY.